Sapiens is just one of a handful of suppliers who provide a Decision Management platform. The others include IBM, SAS and FICO. Unfortunately there is no single definition of what a decision management platform should look like, and so each vendor defines its product suite as the complete decision management platform. Sapiens is no different in this respect. In reality a decision management platform should embrace all forms of decision models including decision logic ( IF … THEN … type rules), predictive models derived from machine learning and other forms of analytics, optimization of resources (once called operations research), and any other technique that presents itself which might help automate, partially or completely, the decision making process. Sapiens focuses on the first of these (business rules), and it does it very well – but it isn’t a complete decision management platform. However we shouldn’t underestimate the power of a business logic approach, since businesses in financial services and insurance must have decision models that can be interpreted by human beings. The highly regulated environment in which these businesses operate demands this. As such Sapiens DECISION Manager should be viewed as a partial solution to the decision management problem. The business rules environment provided by Sapiens is quite extensive, including a very welcome methodology and rigorous techniques for decomposing business rules into their most efficient and usable forms. It also includes a visual workbench providing governance support (change management and traceability), a rules execution server (although others can be used if needed), an InfoHub to connect to and manage data resources, and a newly announced analytics component so the impact of decision logic can be simulated. Business logic can also be exported in a variety of formats via Deployment Adaptors. These include support for Blaze, IRL, DRL and OO language support such as Java. All-in-all this is a good solution for businesses whose main decision management efforts will be focused on business logic in the form of business rules. Other platforms will be needed for activities such as optimization and predictive modeling using data mining or similar techniques. Decision models, rule families, flows and fact types are created within the VDMW, and they are also tested within this environment. And since an organization may well have thousands or tens of thousands of rules, VDMW also provides powerful search and navigation capabilities. The methodology provided by Sapiens (The Decision Model) is implemented within the tool, and rules are checked for consistency before being accepted. Internal structures allow rules to be organized by function or process, or both. The external request (policy or regulatory change) into the system – called a Business Change Request (BCR) –may be for a minor change to a trivial piece of logic, or may encompass an entire program of change across the enterprise. The related internal change, or Business Change Document (BCD), assigns work arising from a BCR into one or more BCD tasks. Other features include automatic logic validation, testing and governance and control. It is not uncommon to find significant latency between business rule creation and deployment into production applications. The Deployment Adaptors speed this process up by allowing complex sets of rules to be generated in executable code – most popular execution environments are supported. DECISION Deployment Adapters include a Software Development Kit (SDK) that enables users to develop their own adapters for languages that are not supported. This is a distributed data management platform combining the power of data management tools with SQL on fully distributed architectures, such as Cassandra. 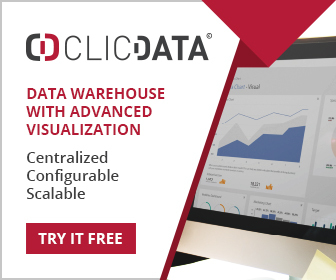 It provides a business user friendly view of data resources and collects, transforms and enriches data from heterogeneous, large and complex environments. Users can elect to execute rules using Sapiens own engine in the form of the Decision Execution Server, or any of a multitude of other servers. The Java-based DES provides a wide range of features, such as hot deployment and massive scalability, that are critical to the success of large-scale enterprise implementations. FICO is perhaps the most direct competitor for Sapiens, and operates in pretty much the same markets. The offering from FICO is much broader in scope, but also much more complex. It may be overkill for some businesses, but the addition of optimization, statistical analysis and machine learning make it an attractive option for larger firms. IBM also offers a complete range of decision management products, but they are not so well integrated as FICO or as focused as Sapiens. Even so they include SPSS for statistical and data mining, and ILOG optimization. Finally SAS also offers a broad range of decision management products, but the cost is likely to be much higher than other offerings.